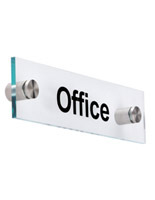 These wall plates are designed to be fully customizable based on the theme and decor of your office! 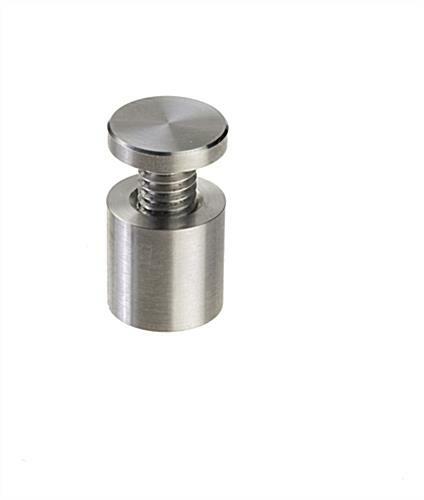 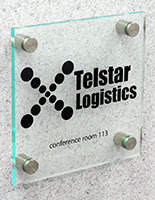 The 8" x 2" holder come with no label inside. 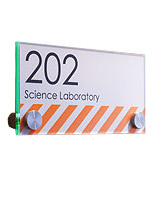 Instead, fill the acrylic plates with print offs from any laser printer. 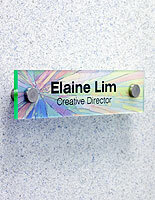 Use Photoshop, Word or Illustrator to create custom name or room labels. 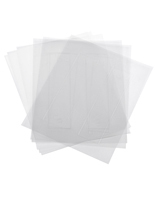 The plates come with clear or frosted films depending on the look you want. 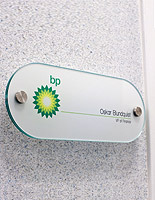 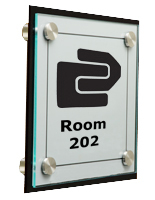 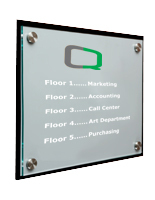 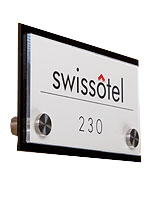 Door signage creates a easy to navigate office and also a clear presentations of people's titles!